I was a late addition to this trip – someone had to cancel and I was able to wangle some last minute leave. Now that the trip is done and I’m cooling my heels in Jakarta waiting for my flight home tomorrow, I can still hardly believe my luck. What a fantastic trip – terrific bunch of divers, good boat and great crew, some pretty nice Raja Ampat reefs, wobbegong sharks, a nesting leatherback turtle, manta rays, pilot whales, beautiful, beautiful whale sharks, and of course, the fab Mike Veitch. Really, what’s not to love about Mike. 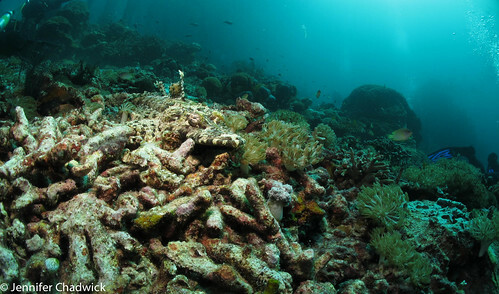 This was my second liveaboard dive trip and second outing with my Canon G12, Fisheye Fix Housing and single Inon Z240. The first trip, last year’s Wetpixel Ultimate Indonesia, also on Damai II, was fabulous, but left me with a pretty long “what I wish I had had with me” list. This time I was better prepared – laptop plus Lightroom, external hard drive, USBs, extra memory cards, whizz bang battery charger and most importantly a new Sola focus light and new 0.41x ultra wide angle lens for my G12 Fish Eye Fix housing (thank you nice bloke at www.scubapix.com.au). Note to self – 28 rechargeable AA batteries may have been a little excessive. So well organised and through the awful stress of packing I headed off for the long 21 hour travel day to Sorong, Papua. On this trip the transfer to the domestic terminal in Jakarta was a bit of a nightmare and it’s not much fun killing 5 hours in the domestic terminal waiting for the midnight flight out. Definitely need a better plan next time. 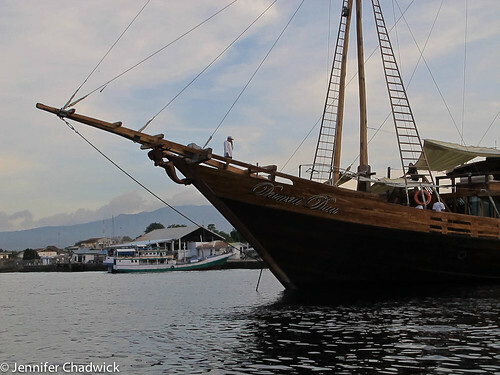 The itinerary – embark Sorong, 5-6 dive days in the northern part of Raja Ampat then a couple of days diving and motoring around to Manokwari, stopping on the way to check out a rare leatherback turtle nesting site. 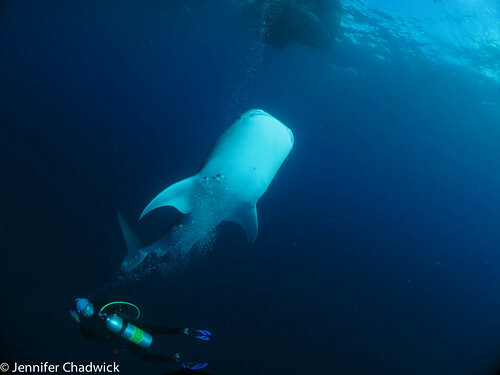 Down through Cenderawasih Bay to spend the final two diving days and last day snorkeling with the whale sharks, disembark – Nabire, fly to Jayapura, Makassar, Jakarta and home. This dive trip included a photo workshop with Mike and my aim was simple, try to improve wide angle shots, without backscatter and preferably not green. Sounds like a plan? Well, it’s a boat and it’s a boat in a remote location. I arrived, suitably frazzled, 7am Monday to find the Damai II Captain had been taken ill and a replacement needed to be flown in. The harbour master would not allow the boat out of the harbour until the new captain arrived and presented his credentials. 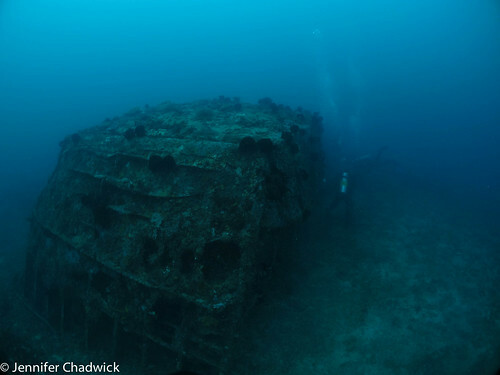 Fair enough – but, the ban also included taking the skiffs and divers to nearby reefs. While we managed to get one dive in on Tuesday morning, we were pretty much boat bound for the first two days. Just one of those things, but losing 2 out of 10 diving days was not a great start. The delay put a bit of a dent in the itinerary and we seemed to be playing catch up for a couple of days. On the positive, the ill Captain will recover and the replacement Captain got us through long crossings and to each new dive area without a hitch. And despite the messy start, Mike and crew put together a good mix of dives as we travelled from Sorong towards Cenderawasih Bay. 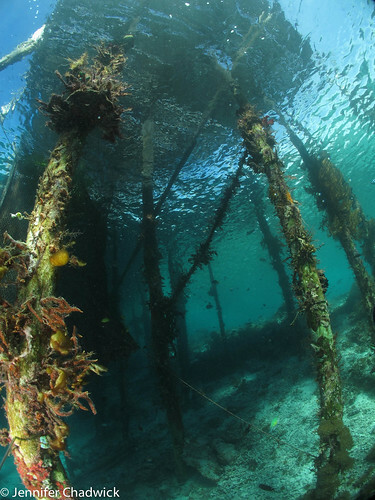 Soft coral bommies, reefs, a World War II wreck, pier and mangroves. Weather and viz were patchy throughout the trip and with low ambient light some rubbly sites didn’t quite live up to the Raja Ampat reputation (sheesh listen to me now, low ambient light). Regardless, plenty of beautiful soft corals open to the passing currents, healthy hard coral gardens, cuttlefish, manta ray, wobbegongs, blue spotted sting ray, needle and archer fish in the mangroves, robust and juvenile ornate ghost pipe fish for a treat and a nice array of shrimp, crabs and nudibranchs and one blue ringed octopus to keep us happy. 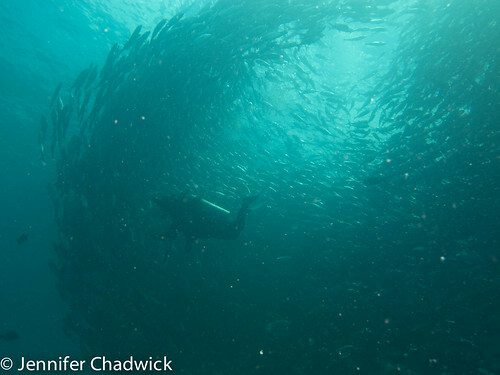 While clouds of small fish surrounded every bommie; medium and large fish were a rare find. We did spot a school of big bump head parrot fish and others on the trip less obsessed with bracketing, saw the odd reef, bamboo and epaulette sharks. Once underway we settled into a smooth tempo. First dive 7.30, breakfast, photography workshop, second dive 11, lunch, workshop or rest or photo review, dive again at 3, and then either night dive at 6.30 or beer, dinner, presentation and sleep. I mostly chose beer – still not quite recovered from the ruck and scrum of night diving on last years’ Ultimate Indonesia trip. Mike spent time underwater with each of us in turn, demonstrating adjustments to aperture, shutter speeds, strobes (who knew TTL was so clever!) etc. Slowly as the days drifted by, we each began to achieve the results we were looking for. Well, others did, I’m still at that stage where my photos rarely resemble the image I have in my head. The occasional good shot is a total pleasure and enough to keep me smiling through the inevitable backslide to less than ordinary results. Travelling from Sorong around to Manokwari provided plenty of time for bracketing, bracketing, and more bracketing, adjusting the camera settings and strobe positions, trying to get shots without backscatter, trying to get just that right (well any) shade of blue, it’s a bit like laying down a muscle memory. The new 160o wide angle lens took a bit of getting used to. I managed to take quite a lot of photos of my strobe and various parts of the lens shade thingo appear in just about every photo. Much to my surprise I did start to produce the odd scatter free (or few spots) wide angle shot. I also learnt a great deal more about the various shades of blue and the magic of minus 1. This Damai II itinerary also includes a stop at a rare leatherback turtle nesting site. Guides are collected from one village, dropped off at another along with some of the boat crew and once the sun sets they go off in search of a turtle. Guests stay safely tucked up on the Damai II until the message comes through that a turtle has been found. On this trip, four of us decided that was just a bit soft, and opted to go schlepping along with the guides. We were warned – the beach landing could be a bit hairy, there would be sand flies, we might have to walk 5 kilometres, without lights, quietly and still not find a turtle. Meh. Undeterred we set off and so, so glad we did. Not only did we get to watch a massive leatherback turtle haul herself up the beach (imagine standing on a dark beach, Milky Way blazing above, watching a boulder move out of the water and slowly up to the dry sand), dig a nest, lay eggs and haul herself back to the sea, we also found two little hatchlings which we shamelessly photographed before letting them scamper off. What is it about watching baby turtles make their way to the sea – everyone suddenly becomes a mother turtle and gives a spontaneous hoorah followed by a gasp of despair as they get buffetted by the wavelets. This was such a highlight. Mind you we worked for it – we walked for miles and miles along 3 beaches, across two rocky headlands, over a slippery jungle track reminiscent of the Kokoda Trail, in a tropical downpour, in the dark. The call went out to the boat as soon as the turtle was settled and the others arrived in time to watch the turtle cover up the nest and haul back to the sea. Cool, but just not as. On a more sombre note – we left quite worried that this precious site seemed poorly protected. Mandy counted at least 20 sets of tracks and as many marked nests. But she also found evidence that nests were being raided – broken, still soft shells, pig and dog prints in the sand. I’ve written to WWF and hope that helps rouse a response. 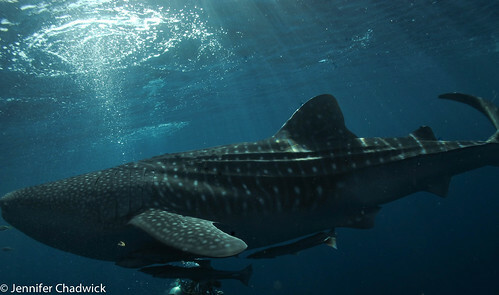 At last we arrive at Cenderawasih Bay and the reason for taking the long 21 hour travel days, the whale sharks. 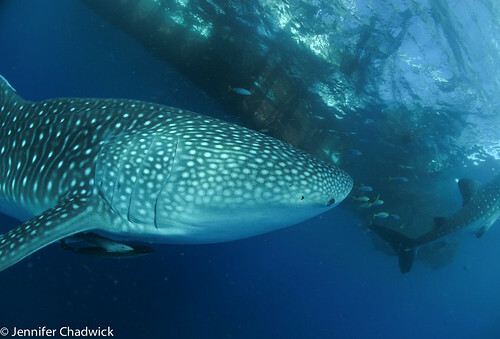 Most people now know about the phenomenon, juvenile whale sharks attracted to the night lights on the bamboo fishing platform. How, over time, the fishermen have taken to feeding the sharks. Most of us have seen the pictures. I had, but I simply can’t describe what a sensation it was to be in the water with these wonderful fish. They are big, and beautiful, graceful, powerful, individual and unique, and, well, slightly dopey. On the first morning we were so excited to hear there was a whale shark already at the platform. It seemed huge until a bigger one turned up later in the day. 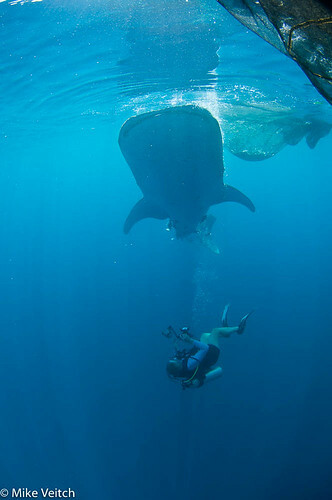 Day 2, there were three whale sharks and on the last day, five. It was fascinating to watch the bigger ones bully the smaller ones out the way, and the smaller ones come rocketing in whenever there was a clear space. 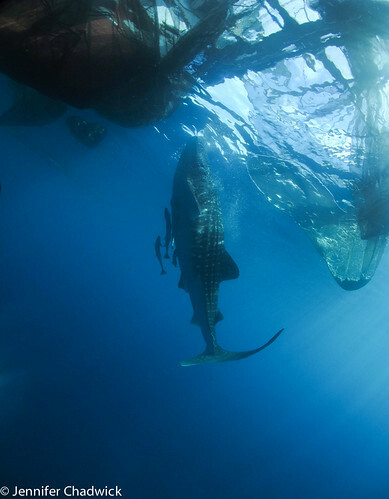 The fishermen on the platform keep the whale sharks interested by pouring water from the platform, dipping a smaller net of fish rapidly in and out of the water and throwing scoops of small, cut up bait fish. The whale sharks circle around the platform, going up to the feeding point, at times holding themselves in an upright, tail stand position. Occasionally there is a bit of push and shove but often they give the appearance of politely taking turns. At first I was a little nervous – these are big, solid fish and I didn’t fancy being swiped by a tail, but as the first day progressed, it started to feel quite normal to swim up to these huge creatures, get the camera up close to try capture the water rushing down through open mouths and bubbling out of gills. Or to swim underneath one trying to capture a silhouette shot. Blinded by the sun, mask flooding and sea water pouring up my nose, trying to get one of these cliché shots – I have never had so much fun. 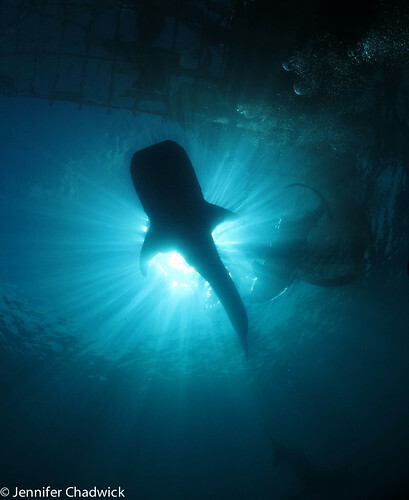 I have a large collection of “just off” whale shark silhouette shots if anyone can think of something useful to do with them. Thankfully, on the last afternoon, Mike signaled the settings to use; practically placed me in the right position and I managed one, not so bad shot, complete with beautiful sun rays. Well come on, I was a paying customer! Hope you don’t mind me including your photo Mike. In an attempt to avoid divers and bubbles appearing in every shot, we tried to be organised. This meant staggering the dive groups. Our group of three also tried to stay on the same side or further out, taking turns to go in for closer shots and generally to be aware of each other and where our bubbles were. Excitement and getting carried away in the sheer spectacle of it all meant that this didn’t always work. 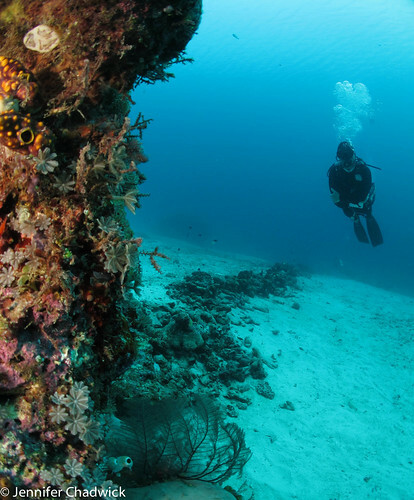 We all have plenty of photos with collections of divers at strange angles, odd fins and bubbles. Overall staggered groups in the water over the two full days of unlimited diving worked well, despite the fact that you just can’t have too many photos of whale sharks. A word of warning, it would be a real stretch of patience and goodwill to dive and photograph in these conditions with more selfish or insensitive types. I found I just couldn’t change the settings on the G12 quickly enough to move from shooting up into the light, to shooting straight on or down as the whale sharks moved around the platform. A better strategy for me was to choose a setting (light metering, who knew!) 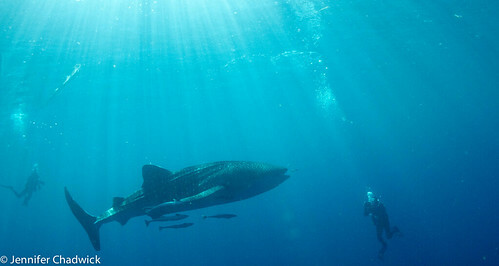 and then just wait, as patiently as possible, for a whale shark to be in the right position. While this meant I got some good shots, it was pretty frustrating as I found it all too irresistible and ended up with loads of either overexposed or underexposed images. Mind you I also missed plenty of shots as my nerves failed me and I ducked or swam out of the way. 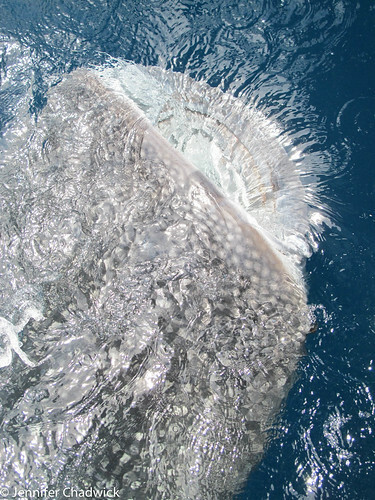 Even managed to squeal like a girl as I came close to being entangled with three whale sharks. Go now before it gets out of control. We were so lucky to be the only boat about, but there is a resort within striking distance and other boats are beginning to take an interest in this itinerary. And there was a German TV travelogue film crew there! Nooooo. Prepare for long internal flight days, expect delays, take some energy bars and find a pal to have a drink with in Jakarta. Don’t sweat the high excess baggage costs, just be prepared with plenty of rupiah. It’s worth it to have the right gear with you and really it represents a small proportion of the overall trip costs. Go the Sorong to Nabire route – it was terrific to end the trip with the whale shark highlight and the first week is a good time to get the camera dialed in and dive skills dusted off. The reverse itinerary could be a bit disappointing. Three switched on people in this group added a short stay in Lembeh Straits on the way through to Sorong – genius – wished I’d thought of that. 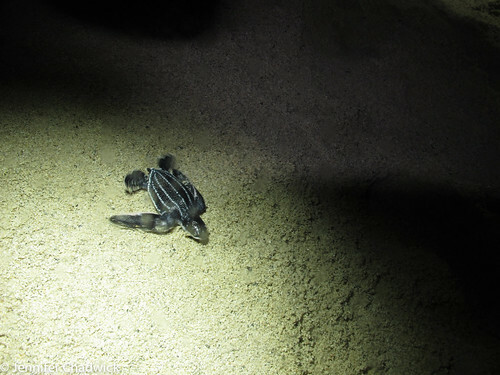 If on offer, don’t skip the Leatherback turtle side trip and do the walk with the guides. 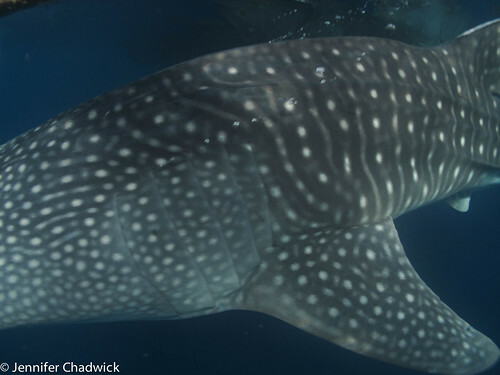 Once you get to the whale sharks, try not to be a bore. Sure it’s exciting and you may never go there again and you can’t have too many photos of whale shark, but, same goes for everyone else you are travelling with. Trust me, you can afford to be relaxed and polite. Chances are you won’t need 28 rechargeable AA batteries. And go with Mike Veitch! I’m home now, unpacked and back at work. It was minus 4oC last night. Nothing left to do but embrace the suitcase within, bracket a glass of wine and hang out for November, except maybe buy a new camera, oh and start a list. 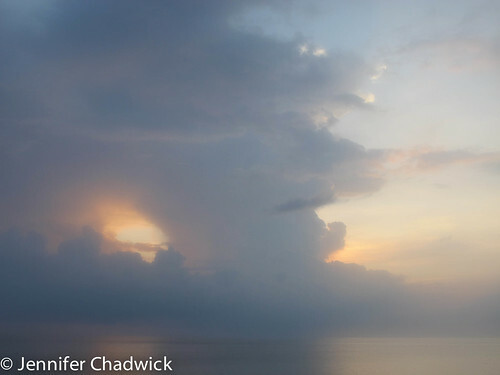 Shout out to Mike, Mandy, Shallum, Cheryl, Jeffrey, Grant, Dimitry, Lester, Eliana and the Damai II Captain and crew. It was a pleasure travelling with you.